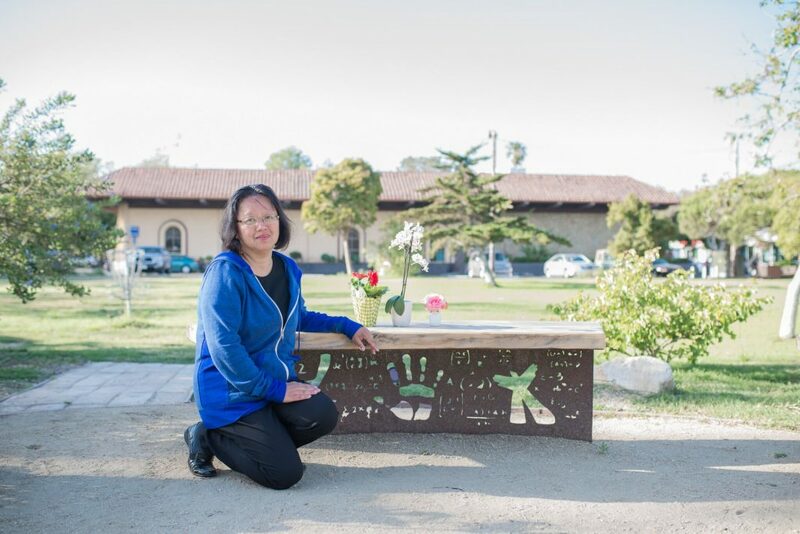 This story is part of a commemorative issue on the third anniversary of the 2014 Isla Vista killings, where a resident killed six UCSB students and injured 14 others. Three years after a dozen parents lost children to the Isla Vista tragedy, a handful of them gathered Tuesday afternoon at the I.V. Love & Remembrance Garden at People’s Park. May 23, 2014 bound them together in the worst of ways. But standing in the sunlight, amid plants and flowers dedicated to their children, the parents had nothing but warm smiles and handshakes to share. “I saw you on the news,” Junan Chen, one father, told Richard Martinez, another. Chen’s son, George, was one of the first two to pass away on the tragic night. Indeed, Martinez had been featured prominently on CNN in 2014, days after his son, Christopher, passed away on the floor of I.V. Deli Mart. Overcome with emotion, Martinez had spoken angrily about a lack of progress in gun reform, a video segment that was shared widely in the days following. Three years later, Martinez is much more than a grieving parent on the news; he’s a full-fledged activist, holding a staff position with Everytown for Gun Safety, a nonprofit advocacy organization that campaigns against gun violence. He arranges for postcards to be distributed with the phrase, “Not One More,” which he also popularized as a hashtag on his Twitter account. In the aftermath of his son’s death, 2.4 million postcards were written and addressed to congressmen and governors in response to Martinez’s national call for change — 60,000 of which were from Florida. Martinez distributed the letters himself to Fla. Gov. Rick Scott. He has traveled the country, visiting gubernatorial staffs and speaking to congressional representatives, pushing the “Not One More” message wherever he goes. Most often, he meets with survivors who also want to advocate for gun reform. Martinez proudly champions the cause on his wrist, which is wrapped in more than a dozen bands — bittersweet markers given to him by families who have lost loved ones to gun violence. Standing at the park Tuesday, Martinez remembered his son. Kelly Wang, mother of George Chen, spoke on behalf of her husband, as well as the parents of Weihan “David” Wang. She was eager to speak to the others there, including a student who had been a friend of George’s. “That’s the purpose of why we are here,” she said. “To speak with people.” She also reflected on the friend who had stopped by. Wang and her husband are both engineers, an interest that George also shared. In the confusion of the weeks after the tragedy, Wang’s engineering instincts kicked in. The last class of UCSB students present then will graduate at the end of this spring. Wang said it hurts her deeply that these students were still just teenagers when they had to cope with this. She went on to say she wants to help the community heal and remind the students that they can move on.